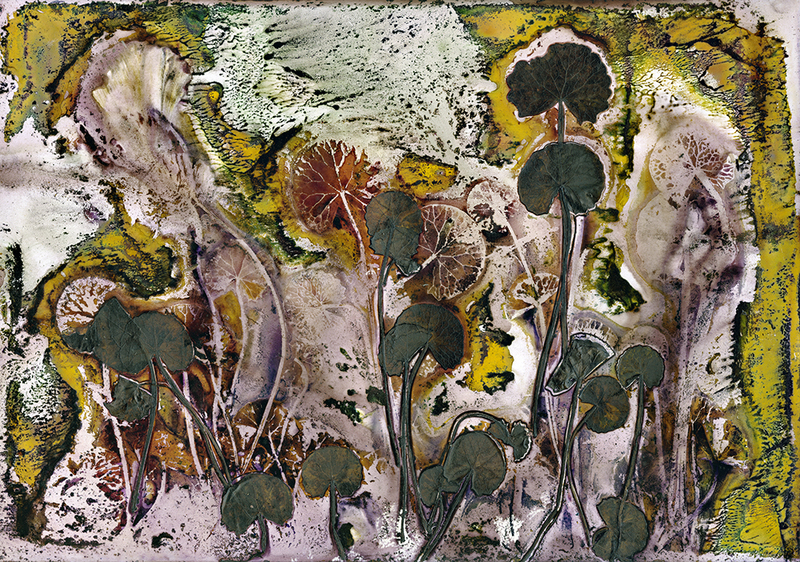 Medicinal Plant Cycles by Renata Buziak is an exhibition of medical plant images based on the fusion of organic and photographic materials in a process of decomposition that Buziak names the ‘biochrome’. They are generated by arranging plant samples on photographic emulsions and allowing them to transform through the bacterial micro-organic activities that are part of cyclic decay and regeneration. Through this exhibition Buziak hopes to reveal a beauty in decomposition and raise notions of transformative cycles. This focus on Minjerribah medicinal plants aims to promote the recognition, appreciation, and value of local medicinal plants in the context of Aboriginal knowledge and natural science. Image: Renata Buziak, Centella asiatica… anti-inflammatory… 2015, archival print on paper, 66.7 x 95cm. Courtesy of the artist.